Come join us once again for our 11th Annual Windermere Foundation Golf Tournament. All proceeds from our tournament go DIRECTLY, 100%, to local charities - charities which assist families and children in need in the Greater Prescott Area. Boys to Men Mentoring Network - Guidance for boys ages 13-18 through their passage to manhood. Yavapai Territorial Gospel Rescue Mission - Care for homeless, poor and at risk families. Blankets 4 Kids, Inc. - Distribute blankets and teddy bears to needy and homeless children living in homeless shelters. Arizona’s Children Association - Provides stable home environment to children removed from their biological home. PAAR “Back Pack’s for Kids” - provided over 300 backpacks for school children in the Prescott area. Prevent Child Abuse Arizona - Funding for their Family Advocacy Center in Prescott Valley. Arizona Burn Foundation, Inc. - Help with the financial hardship of severe burn victims - mostly Children. Chino Valley High School - To provide equipment for students with intellectual disabilities to partner up with Athletes without intellectual disabilities. Yavapai Exceptional Industries - To help them provide for their annual camping trip. Three days of hikes, softball, cook-outs, fishing and talent show! Prescott Meals on Wheels - Help with providing food for the elderly. Big Brothers and Big Sisters - With our assistance, they were able to match 5 children with a big brother or sister. Yavapai Casa for Kids - With our assistance, they were able to provide brand new clothing to abused children that are in the care of the court. Prescott Community Cupboard - Help with the purchase of a much needed, brand new freezer for their facility! Stepping Stones - Providing for training 20 women in their Mentor/Advocate Training program to become self-sufficient and help them heal from domestic and sexual assault. We thank you for your generosity and your continued support. 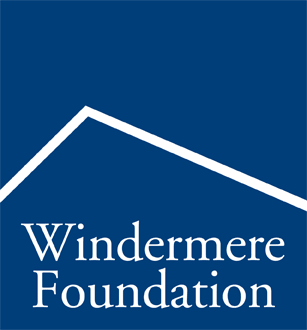 You can also make an ADDITIONAL CONTRIBUTION to the Windermere Foundation (in addition to your golf registration fees) on the CHECKOUT page in the DONATION Box.